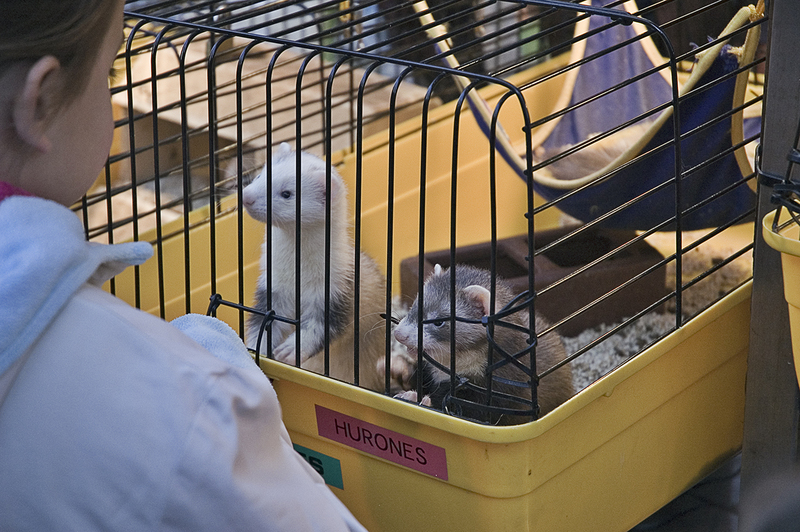 Among the many captive animals you can buy in Las Ramblas stalls there are these ferrets. Apparently they are cute and make good pets but keeping them in a cage is not what nature had in mind. The noise, the lack of freedom to move in such a small space, the great amount of people coming and going or stopping by to watch like this girl provoke stress in many of these creatures. If you enlarge the picture you will notice how the ferret on the right is stubbornly biting on the bars of the cage.